Yes, Virginia, there really is (or was) a Sublime Porte. 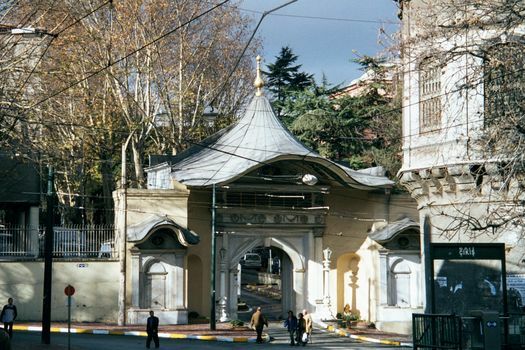 It was the French name for the gate to the Ottoman vizier's offices, which adjoined Topkapi Palace. Today, it just leads to ordinary government offices, but the canopy is as good as anything the Disney studios could concoct to evoke the exotic East.